Activision's Skylanders franchise surpassed $500 million in total revenue, with over 100 million toys sold throughout the U.S., the company announced at their Toy Fair 2013 press conference. The franchise reached this milestone faster than any other kids' game, and even outsold popular toy lines and action figures including Beyblades, WWE and Star Wars. 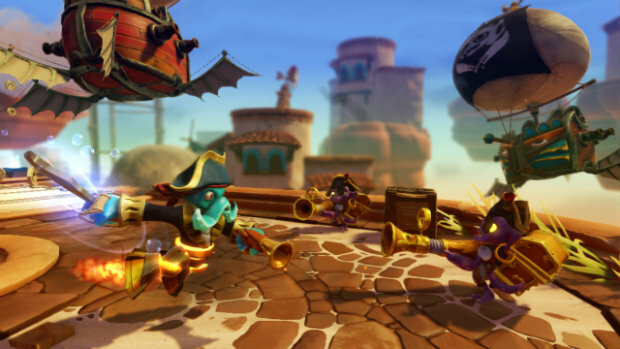 "Before the launch of [Skylanders: Spyro's Adventure], we knew we had something special," Activision Publishing CEO Eric Hirshberg said at the conference. Skylanders: Spyro's Adventure was the best-selling kids' game of 2011, and its sequel, Skylanders Giants, released this past holiday, garnered more than $195 million in U.S. sales. "The key to longterm success is continuing to bring breakthrough innovation every time," Hirshberg added. Activision unveiled Skylanders: Swap Force at this year's Toy Fair, the third installment in the series, that allows players to mix-and-match the tops and bottoms of brand new Skylanders figures allowing for a multitude of combinations. It will be developed by the series' mobile developer Vicarious Visions, and not Toys for Bob from the first two releases. As noted in our preview, Swap Force will introduce 16 new swappable Skylanders toys, as well as 16 new core Skylanders and 8 new LightCore Skylanders. Activision could not comment on whether more swappable characters would be introduced later on. "I think we have a tremendous stable of characters that people have already shown a lot of love for, and that's something we're really proud of," Lou Studdard, producer of Skylanders: Swap Force told me when asked how the team plans to compete with the recognizable characters found in the upcoming Disney Infinity. 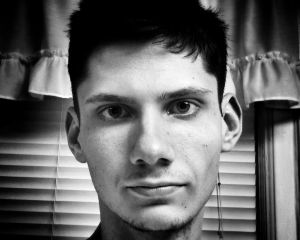 Simply put, Studdard believes that player engagement and their personal connection with the characters in Skylanders is what will set them apart from other games in the genre. "The fact that people have their own favorite, they have the ability to upgrade that character that they love to make it 'my Blast Zone,' 'my Double Trouble,' and 'my Trigger Happy.' It's not someone else's." Studdard said. "By being the person to play the game, earn the experience, store that on your toy, it really allows the character to become yours." 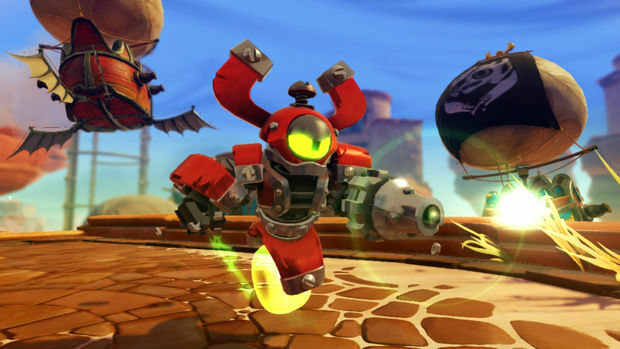 Skylanders: Swap Force will be available this holiday season, but for an early first-hand look at what Vicarious Visions is bringing to the table, the game will be shown at Toy Fair 2013 at the Javits Center in New York City, booth 3061, February 10-13.